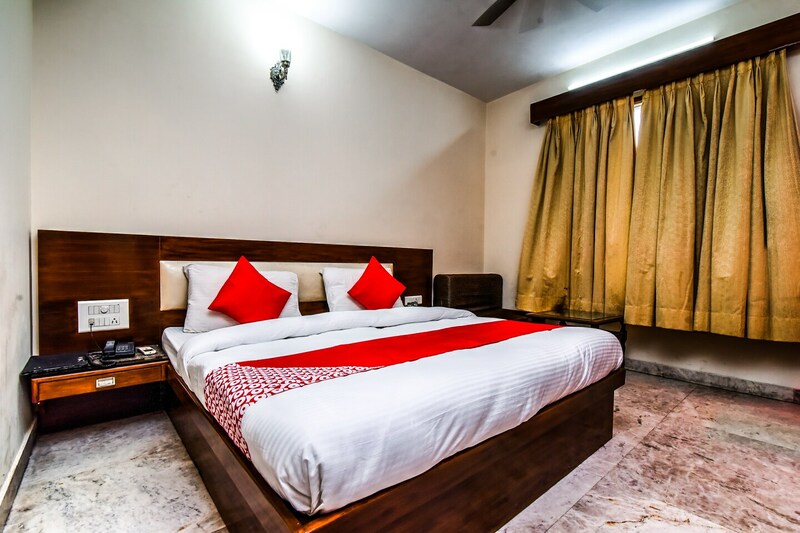 Hotel Dev Palace is a great hotel located in Rohini In Delhi. The nearest metro station is Rohini east Metro station. The rooms bright interiors in golden and brown hues. There is a side table attached to the bed along with seating space and coffee table in the room. There is an in-house restaurant on the premises as well. The hotel rooms offer intercom services, air conditioning, queen sized bed, wardrobe, television and CCTV cameras for added security of the guests. The attached bathrooms are also clean and hygienic. There are many restaurants, markets and ATM/Banks in the area.